Shining your creative gifts for all the world. How's that for a dream? 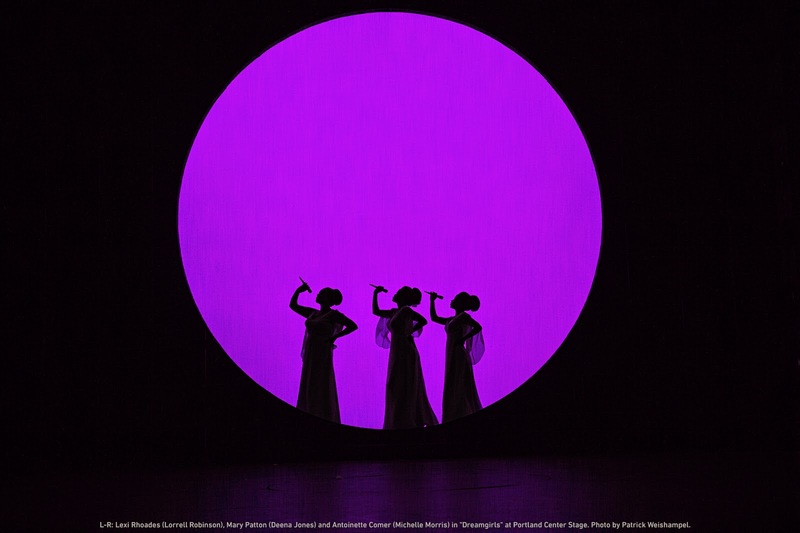 Dreamgirls at Portland Center Stage opens the curtain to Effie, Deena, and Lorell, three hopefuls waiting to sing together in a talent show. We get a shimmery backstage perspective and an earful of fun tunes while contestants strut their stuff for their audience. 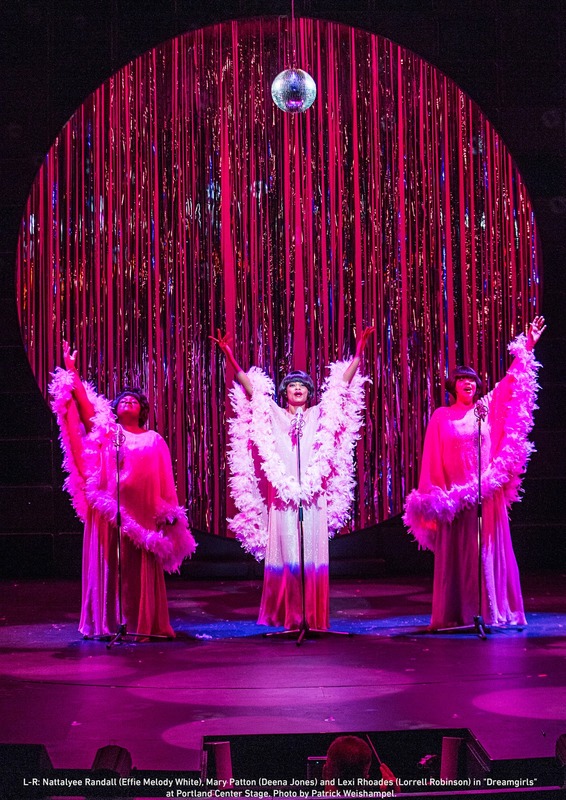 In a last minute decision before going on stage, Effie, Deena, and Lorell pick up their wigs and turn them backwards, black curls flopping over their foreheads. They're in this thing together, no matter how crazy it gets. Respect, caring, and hard work are all they have - along with a dream. The three bring down the house. They get a juicy offer to sing backup for the accomplished star, James Thunder Early. Once again, every decision they make is made together. Their devotion to each other comes first. We watch as stardom rearranges the souls and priorities of Effie, Deena, and Lorell. Slowly, collaboration, self-respect, and kindness fade. Now they each have a chance to be someone. And I love how PCS brings on the glamour. The gauzy gowns and headresses are confectionary. The music is bewitching. Natallyee Randall as Effie singing "(And I'm Telling You) I'm Not Going," will give you chills. The word "glamour" comes from a Scottish word meaning enchantment. Like many of us often do, these rising stars mistake glamour for love. "We sing all about love," Lorrell tells Deena. "You think we'd know how to do it." There is a dream-reaching that puts you under a spell. You seek your own name on the dressing-room door. And then there is a dream-reaching of becoming your best self, and connecting to other creative beings. The dream that is all about you is an illusion. I'd love to hear your thoughts about creative dreams. Also, see the show! I love your thoughts on this production and the wider subject of "dream" in general. Great insights. Gigi, I so appreciate being in conversation with you!